First of all I hope everyone is having a lovely day! So yet another video has been recorded, edited and loaded on YouTube! I made a roughly 5 minute video explaining the Oils I mix together to Seal after I have Moisturized my hair. This is the last part of my Daily Routine “Series” as I am going to start making my Styling Videos. I am excited and nervous about that…but let’s leave that for another post! Anyways… I have a link to my Sealing Oil Mix here and also have a quick link to my YouTube Video here. I would love to hear what you use! 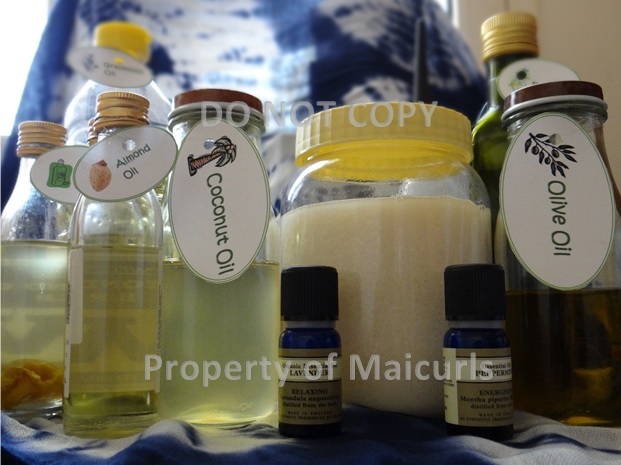 This entry was posted in Sealing Oil and tagged Almond Oil, Coconut Oil, Extra Virgin Olive Oil, Flax Oil, Grapeseed Oil, Infused Almond Oil on November 10, 2013 by Maicurls.